The picturesque Unchalli Falls close by Uttara Kannada is famous for its Unchalli (Lushington) Falls was discovered by J.D. Lushington in 1845, a district collector of the British Government. Aghanashini river creates this water cascade which screams down from a height of about 450 feet. Unchalli falls is near Yellapur (19 km) in Uttara Kannada. This is also known as `Mini Niagara‘ or Keppa Falls is another name for its unique sound. Cascading from a height of 170 feet, it is famous for its spread and shape. This falls must be visited in July-August when it will be in full bloom. Trekking 5 km from the Heggarne village along the dense forests can be an exciting experience. 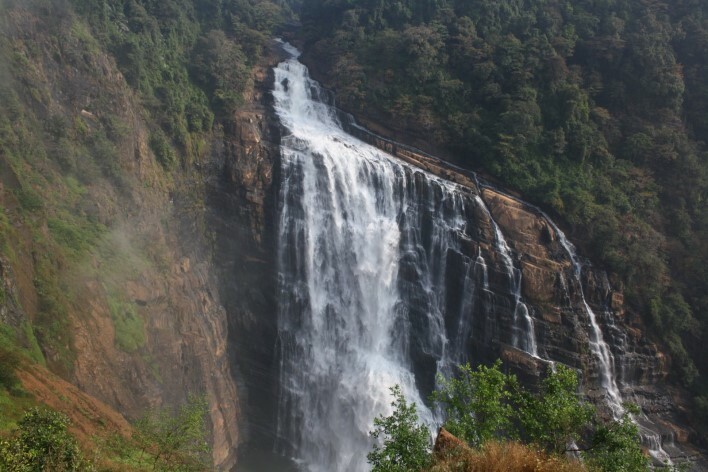 The steep mountain slopes and tracks, deep gorges, chilly breeze and the amazing flora and the rare avian species accompany you until you reach the roaring Unchali Falls plummeting down. By Road: From Bangalore 400 kms, Sirsi 25 kms.